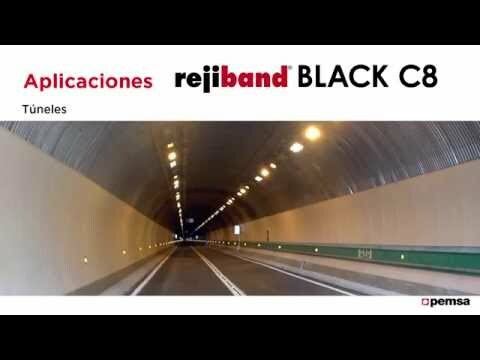 Rejiband BLACK C8® has obtained the AENOR N Mark (Spanish Association for Standardisation and Certification) and the IECEE CB Scheme certification (International Electrotechnical Commission) guaranteeing the Class C8 corrosion resistance by subjecting it to more than 1,000 hours in a salt spray chamber. HIGH-SPEED RAILWAY PROJECT REMAINS ON TRACK. As an approved supplier to London Underground, cable tray specialist, Pemsa, talks about the quality of products that are required for the UK Rail Industry and in particular the new High Speed 2 railway project. DP Building Systems and Pemsa have developed our partnership to ensure you have access to a strong brand and their complete breadth of products and solutions, ranging from metal tray and wire mesh basket for cable support and management. Pemsa solution is is designed for the support and management of medium and low voltage electric cables, as well as the manufacture of flexible tubing, connectors, compression glands and accessories. Pemsa heads the ranking of Spanish manufacturers of metal cable trays and is second at the European level as manufacturer of wire mesh cable trays of electrically welded steel. Moreover, Pemsa is one of the top 10 leading European manufacturers. Since the beginning, Pemsa has been distinguished by the design and manufacture of innovative products that facilitate assembly and installation. 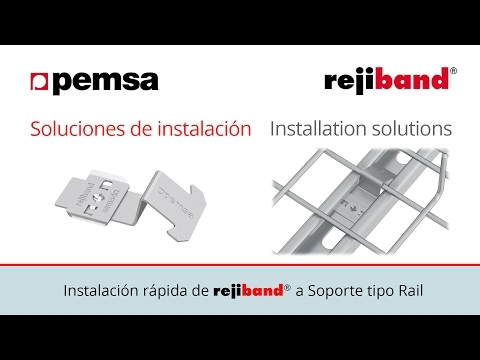 Thus, Pemsa was the first Spanish manufacturer to introduce the "Rejiband" wire mesh cable tray into the market, its star product leading the market and the commercial brand that has become a generic name. New products were subsequently introduced in the sector, such as the Rejitech system, specifically designed for ceilings and false ceilings; or Inducanal, a special metal channel with reduced dimensions for installations over large surface areas. Currently, the company has one of the most complete product catalogues on the market, with the greatest number of solutions for metal trays, supports and structures..
Pemsa has introduced its Pemsaband Click tray, incorporating a new system that provides savings in couplers combined with a greater speed and simplicity of installation. The newly designed system of Pemsaband Click is available in a galvanised sendzimir finish with widths 100, 150, 200 and 300 and depths of 35 and 60. 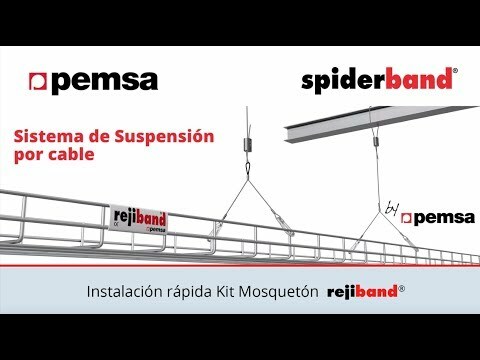 Its unique design provides distinct advantages; - New system facilities and improves the connecting of the straight sections without any joiners or additional accessories - Pemsaband ‘’Click’’ maintains a useable 3 metres in each straight section. There is no loss of length due to the joints. - The perforated and slotted base increases the transverse strength, prevents fluid retention and decreases the weight. - Protection against rust through Galvanized Sendzimer UNE-10327 - Snap on cover (using a bolt or clamps) for easy installation and removal. With this new system, the Pemsa product range is perfectly suited to the most demanding installation and provides solutions to assist the installers and save costs in their work. 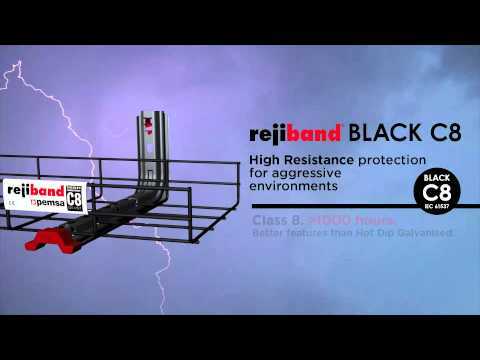 Pemsa has developed a high resistance coating for rejiband®BLACK C8® wire mesh tray which provides an excellent resistance to corrosion in wet and aggressive environments. It presents the following advantages – which is essential in an infrastructure where Zinc Whiskering is a concern. New Strut Clip for Fast and safe installation of Rejiband Wire MeshTray on to 41x41 and 41x21 strut.